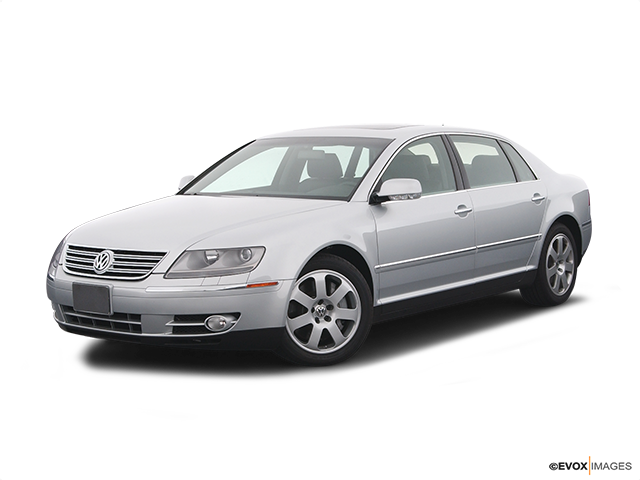 The Volkswagen Phaeton is a car intended to rival the likes of typically much more expensive luxury brands. It is mechanically impeccable, though low sales put it out of production relatively soon. It started off as a dream of the then-VW chairman Ferdinand Piëch, whom in 2002 was dead-set on producing “the best car in the world.” Unfortunately, North American customers didn’t share his vision as only three years later, the Volkswagen Phaeton was discontinued from sale in the North American market. But in the three years that it was present on American and Canadian soil, it fearlessly challenged the likes of much more prestigious and luxurious brands such as BMW, Mercedes Benz and even Audi. Available today as a used car, here’s everything you need to know about this astonishing feat of German engineering. The Phaeton was originally available with two engine options. The first was a very adequately-powered 4.2-litre V8 that generated a sleek, but responsive 335 horsepower. Paired with a six-speed automatic with Volkswagen’s remarkable Tiptronic manumatic mode and 4Motion all-wheel drive, the lesser-powered engine still manages to provide a plenty quick and suitably civilized drive. Putting your foot down results in a deep roar and good acceleration (6.6 seconds 0-100 km/h). But definitely, the one to have is the optional 6.0-litre W12 powerhouse with a very impressive 444 horsepower. Paired with four-way adjustable pneumatic suspension, electronic systems, brakes and steering, the W12 Phaeton is an astonishing car any way you look at it. The best thing about the Phaeton’s adaptive air spring suspension is that it alters the damping characteristics in milliseconds depending on the driving conditions when left to its own devices. As a result, the ride quality is not compromised one bit and body roll and pitch are kept under control. Another pretty cool feature of the suspension is that it changes the ride height at different speeds, though both of these settings can be manually set up. If you’re looking to improve high-speed stability you can set up the Phaeton to sit lower. Conversely, you can also jack it up higher if you need better ground clearance. Several damper settings are also available, but the sports side will probably feel most rewarding to most drivers. It offers barely noticeable understeer and body roll, precise and light steering as well as tons of grip. Given what the Phaeton incorporates when it comes to mechanics, it is a fair assumption to expect it to be equally impressive on the inside – and it is. The front seats are extremely comfortable, in addition to being heated, cooled and fully articulated. You’ll also find a very enjoyable audio package as well, and a four-zone climate control system designed to ensure every passenger feels exactly right. 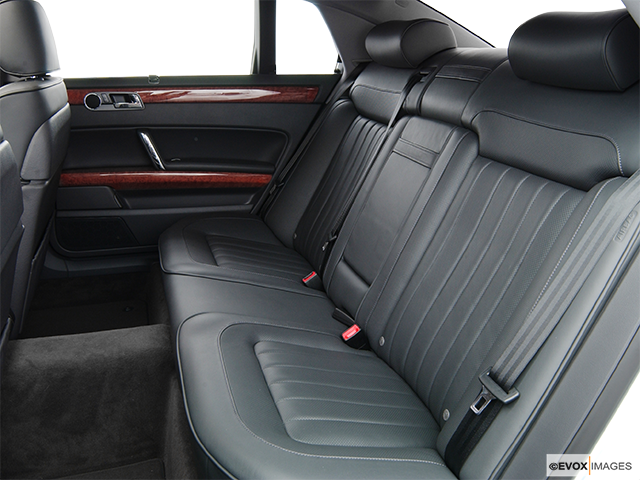 The rear seat is similarly spacious and inviting and even taller passengers will struggle to reach the back of the front seat with their legs stretched out straight. It goes without saying that storage space is similarly impressive with tons of utility found everywhere in both the cabin and trunk, which power opens and closes at the touch of a button. The Volkswagen Phaeton is a truly remarkable car by anyone’s criteria. Unfortunately, it didn’t seem to fit in the North American conception of the Volkswagen brand. This because VW’s reputation was formed in the postwar decades by mostly low-rent and lovable models as the Rabbit, Beetle and GTI. Stretching it to include a premium, large size sedan that aimed to rival Audi, BMW and Mercedes was apparently too tall an order. The Phaeton only found 820 customers in all of 2005, 140 of which were in Canada, despite its initial sale projections belonging to the 10,000 units range. Regardless, the Phaeton is a true marvel of German engineering and a very impressive car to own if you want a true powerhouse but don’t need to brag about the badge on the hood.